Business Statistics using Excel offers an excellent and helpful introduction to business statistics for students who require a first course, providing all of the explanation, tools, and skills which are required in order to master the subject matter. Thorough, clear and accessible, the text guides students in a progressive, step-by-step manner through the theoretical concepts and techniques, and supports understanding by providing extensive examples from a South African context. The text assumes no prior knowledge of the subject, and includes refresher chapters on numerical skills and Microsoft Excel. 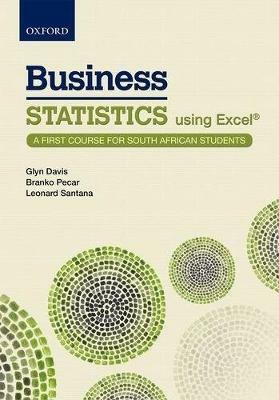 This text is eminently suitable as a first course in statistics for students who are studying the subject as a module within any business-related programme of study.